Who Are 4 Ex-Boyfriends Are Reminded By Ariana Grande In “Thank U, Next”? On the morning of December 1st, Ariana Grande launched MV named “Thank U, Next”. Within 35 minutes, the new MV reached 1 million views. After nearly 12 hours, “Thank U, Next” surpassed 32 million views. The Guardian reviews “Thank U, Next” is one of the best songs of the year 2018. In this hit, the most amazing point is that Grande clearly prompted 4 former lovers. They are Big Sean, Ricky Alvarez, Pete Davidson and even rapper Mac Miller. 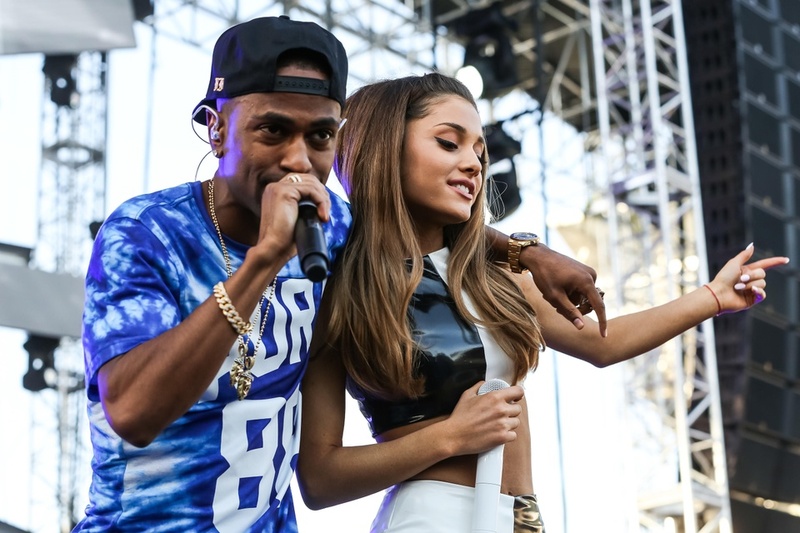 After cooperating together in a music product, Grande and Big Sean started dating in October 2014. The couple didn’t not hesitate to share moments of happiness in social networks and hand in hand to appear at the event. What a pity when after only 8 months of dating, Grande and Big Sean broke up. Grande mentioned Sean right in the opening sentence of “Thank U, Next”: “Thought I’d end up with Sean. But he wasn’t a match”. By this time, the true reason causes the love of Sean and Grande shattered remains the question mark. After breaking up with Big Sean, the heart of the Grande was given to dancer Ricky Alvarez when he performed in Honeymoon Tour. The relationship of them was hidden pretty tight, then Grande revealed with Billboard magazine: “We are happy together. I am a strong girl, live healthy and take care of people. That’s all”. After one year been together, the love between Grand and Alvarez had stopped. The 25 years old female singer prompted her ex-boyfriend in “Thank U, Next”: “Wrote some songs about Ricky. Now I listen and laugh”. Both of them confirmed that despite of breaking up, they are still best friend of each other. 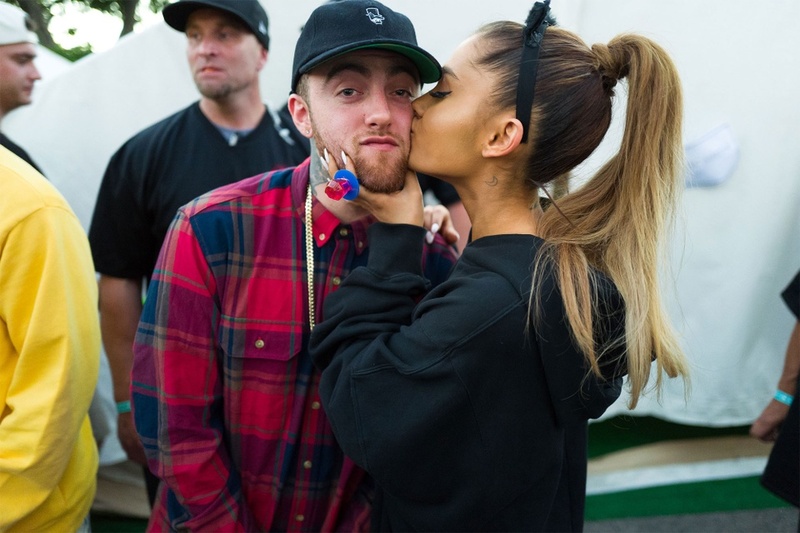 Grande was fell in love with rapper Mac Miller from 2013 when both of them cooperated in the song “The Way”. It was not until the year 2016, they publicly dating. Grande and Miller made a lot of fans and co-workers jealous when continuously expressed the love on social networks and regularly appeared together at events. But beginning in 2018, the love of the Grande and Miller started cracking and they are forced to split up in regret of all. Not long after, the famous rapper died of an overdose of stimulant. The death of Miller caused Grande fell into a spiritual crisis for a long time. In “Thank U, Next”, Grande has an emotional message to Miller: “Wish I could say “Thank you” to Malcolm. Cause he was an angel”. “Even almost got married. And for Pete, I’m so thankful”. Grande mentioned actor Pete Davidson in a hit “Thank U, Next”. Love of them budded on January 5. Only 10 days of dating, Grande and Davidson were engaged together. In one performance, Grande publicly wore an engagement ring costing about $100,000. Next, Grande and the male actor constantly show affections for each other on social networks. But just four months later, the TMZ revealed Grande and Davidson cancelled their marriage pledge. Before that, the love of Grande and Davidson was predicted to break when he replaced the rabbit ear tattoo – a symbol of Grande – to a heart. Grande said: “We still have much affection for each other, but decided to break up because this is not the appropriate time” Currently, Grande opens possibility of back side of Davidson. The career of Grande took up a new height after the success of “Thank U, Next”. In November, 25 years old singer was also honored in “Woman of the year 2018” to rival with Lady Gaga, Beyonce, Taylor Swift and Selena Gomez by Billboard magazine.